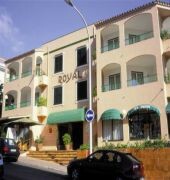 Royal Apartments is located just 100 m from the harbour in the capitol city of Mahon on the island paradise of Menorca. 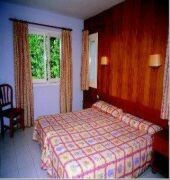 This is a terrific hotel for couples and families with 34 spacious apartments with modern amenities. Guests to Royal Apartments can relax on marvellous beaches surrounded by stunning natural landscape and explore countless tourist attractions and facilities such a shops, restaurants, pubs, and discos. Mahon Airport is 4 km from the hotel. The hotel offers a kids pool and an outdoor pool. 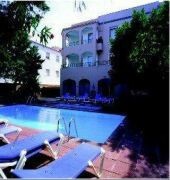 Situated in the popular district of Mahon, it is within walking distance of several Menorca attractions. The property has a hairdresser, a safe-deposit box and a hair salon.Equipped to ensure a comfortable stay, apartments offer a kitchenette, a TV and cable / satellite channels. The apartments all have a refrigerator, a safe and a balcony as well as air conditioning. Guests can tour the local area with the apartment complex's bikes for rent.